Spanish course in Peru and rock climbing! If you are interested in a special challenge in Peru this July, have a look at this: Spanish course in Peru and Rock climbing! 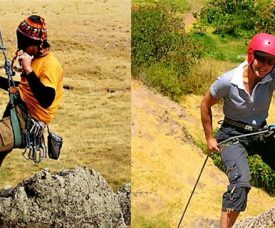 AMAUTA Spanish School Cusco now offers the possibility to combine your Spanish classes in Cusco with an exciting rock climbing course! This intensive rock climbing course runs between 8:30 and 12:30 from Monday to Friday; the Spanish group classes will take place in afternoons at our school in Cusco. 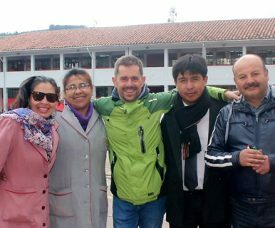 AMAUTA students in Peru have already experienced a large part of the “Fiestas de Cusco” during this month of June. However, the biggest and most important celebration of Cusco is still to come. Only a few days after Qoyllur Rit’i and Corpus Christi, on June 24th – the day that the sun is farthest away from the earth – Inti Raymi will be celebrated in Cusco. 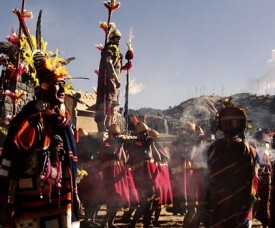 It is a traditional Inca festival when the people worship the sun and plead for its return. Below you will find some tips and tricks, be prepared to make the most out of this special day in Cusco.